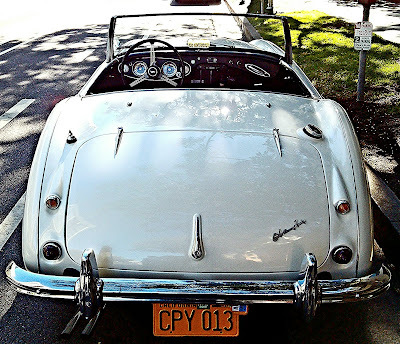 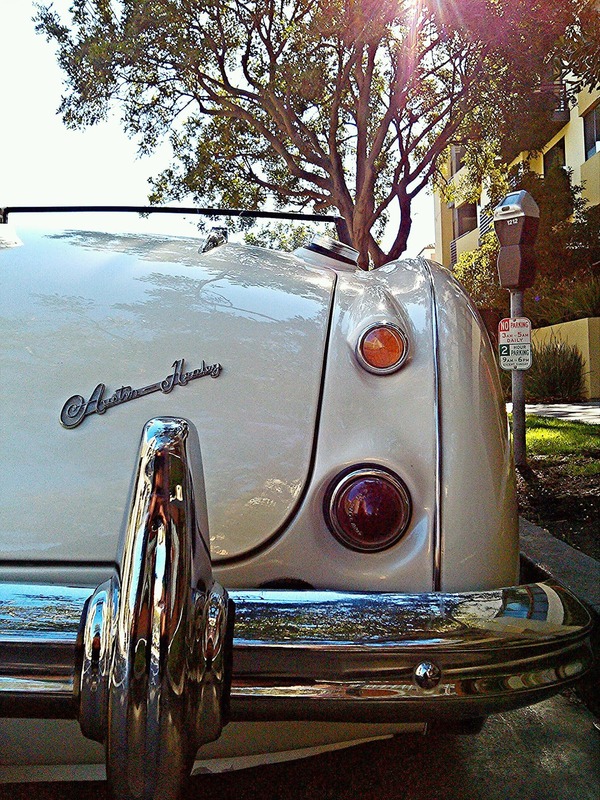 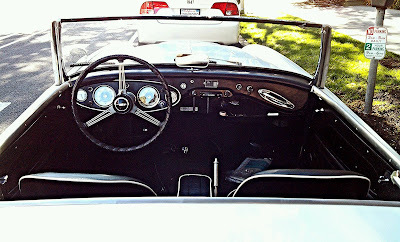 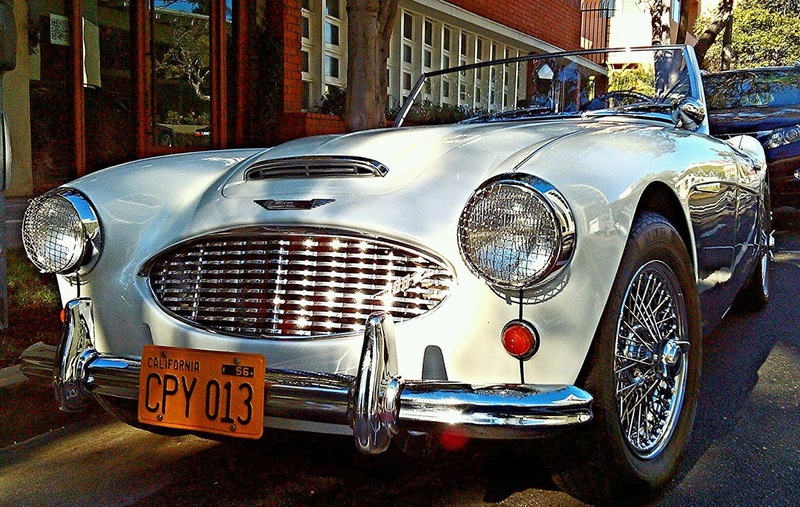 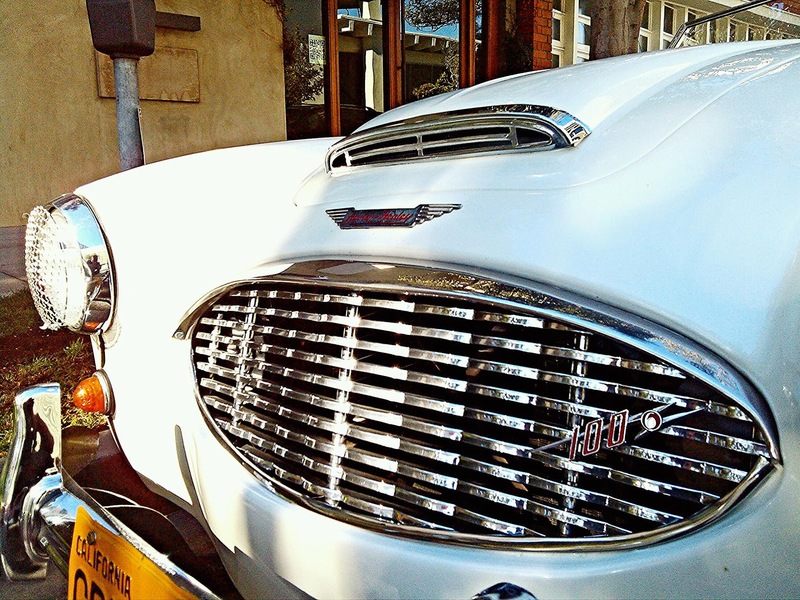 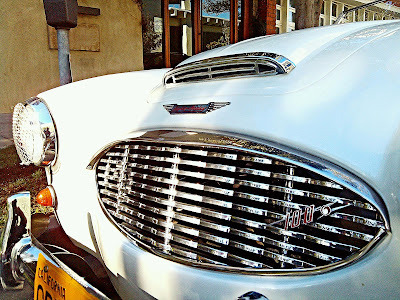 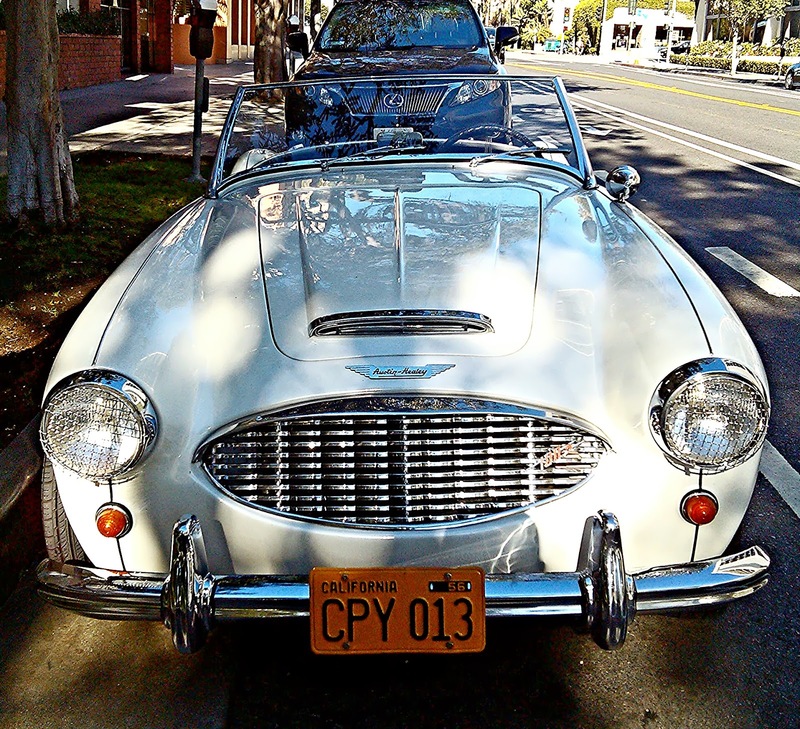 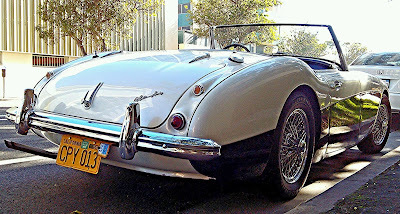 I was driving in Santa Monica going to one of my stops for work, and saw this nice Austin Healey parked on the street. I just had to stop and take a couple of pictures of it. 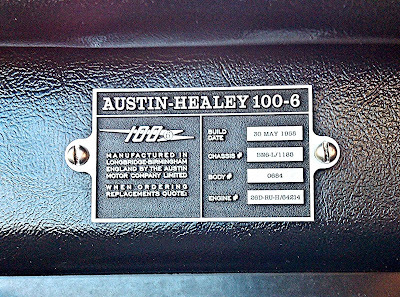 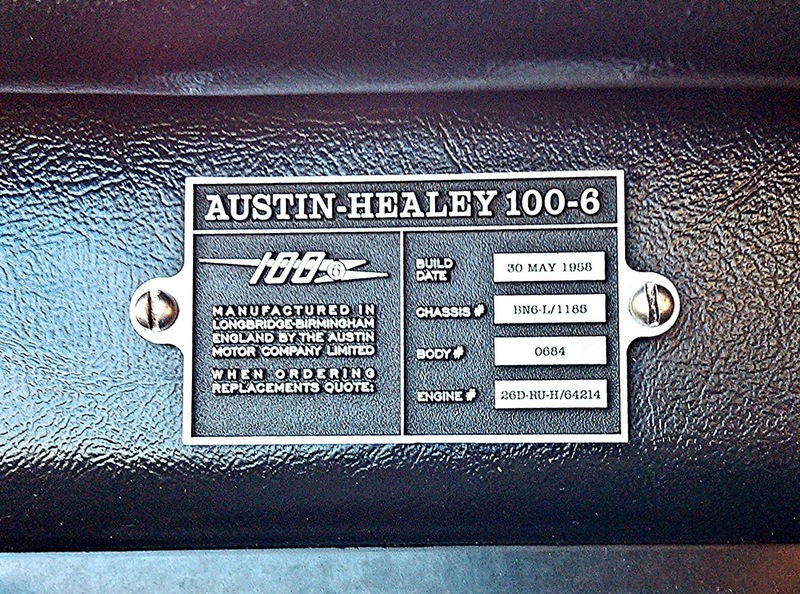 It turns out that it was a '58 Austin Healey 100-6 convertible. 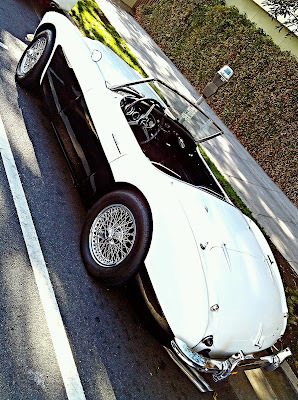 I really like it when people aren't afraid to actually take their classics out and drive them around. 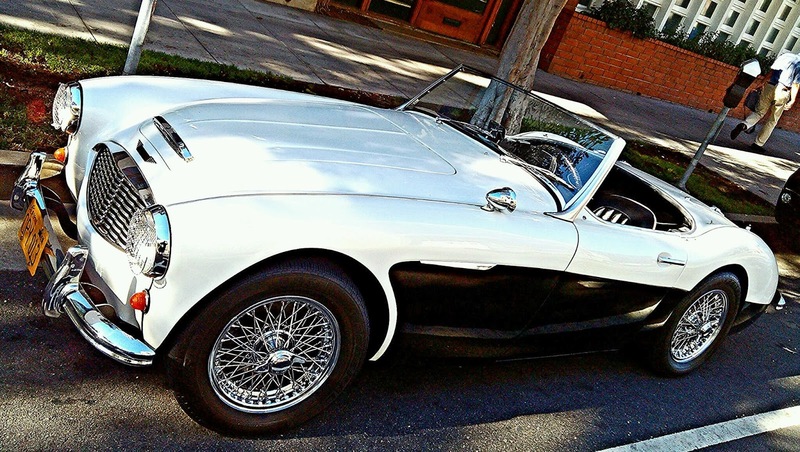 This would definitely be a fun car to take for a drive up the coast in.